This spring, Robert Axelrod was one of ten distinguished honorary degree recipients at Harvard’s 364th commencement ceremony. The Carnegie Corporation of New York has awarded John Ciorciari its prestigious Andrew Carnegie Fellowship to examine the strengths and shortcomings of shared-sovereignty agreements. Susan M. Collins concluded her two-year term as president of the Association of Professional Schools of International Affairs. During her tenure, she created three task forces to address timely challenges and opportunities including APSIA’s diversity task force, on which she will continue to serve in the coming years. Paul Courant was mentioned in a June New York Times article as a contender to replace Library of Congress Chief James H. Billington. This May, Dr. Matthew Davis joined U-M’s Institute for Healthcare Policy and Innovation as deputy director. In September, Matt was recognized with the U-M Regents Award for Distinguished Public Service. Alan Deardorff will take a well-deserved sabbatical break during the winter of 2016 to continue work on his “Glossary of International Economics.” He continues to serve as president of the Midwest Economics Association, and will deliver his presidential address at next spring's conference. Kathryn Dominguez was nominated by President Obama for an open seat on the Federal Reserve Board of Governors, pending approval by the U.S. Senate. “Dr. Dominguez has the proven experience, judgment, and deep knowledge of the financial system, monetary policy, and international capital markets to serve at the Federal Reserve during this important time for our economy,” Mr. Obama said in a statement. Hundreds of media outlets around the globe covered the announcement. 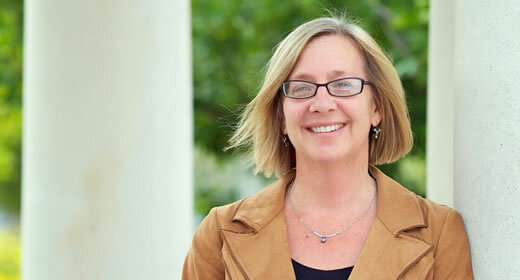 Susan Dynarski was honored with NASPAA’s “Public Service Matters” Spotlight Award. She is a frequent contributor to The New York Times Upshot, where she takes on issues related to improving educational achievement, and continues to consult with federal agencies on higher education finance. The NYT editorial board recently endorsed Susan’s recommendation to dramatically simplify or eliminate the FAFSA. In addition, the Department of Education recently announced a critical change to the FAFSA timeline that Dynarski has promoted extensively. Closer to home, Susan earned a commendation from the state of Michigan for her work on U-M’s pilot HAIL Scholarship program, which attempts to increase the number of undergraduate applications from low-income, high achieving Michiganders. Rusty Hills' opinion piece, “Wild Idea to Fix the GOP Debates,” was published by The Wall Street Journal. James House's book, Beyond Obamacare: Life, Death, and Social Policy, was published by the Russell Sage Foundation this June. The Education Policy Initiative (EPI), co-led by Brian Jacob and Susan Dynarski, will receive part of a $1.6 million U.S. Department of Education grant to study the effects of virtual schooling on student achievement in Florida. In partnership with other U-M departments, EPI also received $4 million from the Institute for Education Sciences to establish a doctoral training program. Paula Lantz chaired the planning committee for “Advancing the Science to Improve Population Health,” a National Academies’ Institute of Medicine workshop, and conducted a national survey of the research needs of health policymakers and practitioners. Paula also co-published “The National Breast and Cervical Cancer Early Detection Program: 25 Years of Public Health Service to Low-Income Women” in Cancer Causes and Control. Melvyn Levitsky presented “Brazil: Still the Country of the Future?” to the Grand Rapids World Affairs Council and “Ukraine, Russia, and the United States: Past, Present, and Future” to the Institute of Retired Professionals. Kary Moss received the Mary Church Terrell Freedom and Justice Award from NAACP-Detroit and the Peter Hammer Justice Award from the American-Arab Anti-Discrimination Committee of Michigan. Shobita Parthasarathy and Susan Guindi, director of student and academic services, are co-chairing the Ford School’s Diversity, Equity, and Inclusion strategic planning initiative. Launched this September, the initiative is a top priority for the school and will culminate in a five-year strategic plan to improve diversity, equity, and inclusion. Luke Shaefer's book, $2.00 a Day: Living on Almost Nothing in America (with Kathryn Edin), was released by Houghton Mifflin Harcourt this September. Carl Simon has joined the Intelligence Science and Technology Experts Group of The National Academies, a new committee that provides technical advice to the Office of the Director of National Intelligence. He is now on three National Academies committees, and was honored this fall at the annual Midwest Dynamical Systems Conference. Kevin Stange’s “Investing in schools: Capital spending, facility conditions, and student achievement,” and “A new measure of college quality to study the effects of college sector and peers on degree attainment,” were published in the NBER Working Paper Series. The latter was also highlighted in articles by The Chronicle of Higher Education and Inside Higher Education. Betsey Stevenson, who has been on leave to serve as a member of President Obama’s Council of Economic Advisers, has returned to the Ford School. Her discussion of the Department of Labor’s June jobs report was published by news outlets across the country, including Politico, NPR, Market Watch, the Pittsburgh Post-Gazette, and Bloomberg. David Thacher's “Olmsted’s Police” was published in the Law and History Review of the American Society for Legal History. Justin Wolfers, who has been on leave to serve as a senior fellow at the Peterson Institute for International Economics, has returned to the Ford School. He continues to be a regular contributor to the New York Times Upshot. Maris Vinovskis delivered a keynote address to the International Standing Conference for the History of Education (the speech has since been published in Paedagogica Historica) and gave two interviews on Latvian State Radio. This fall, Maris will be on sabbatical working on his second volume of the history and politics of the Head Start program during the Nixon, Ford, and Carter Administrations. John Leahy joins the Ford School as the inaugural Allen Sinai Professor for Economic Policy. His research focuses on the roles that market frictions and imperfect information play in shaping economic outcomes. Natasha Pilkauskas joins the Ford School as an assistant professor of public policy. Her research focuses on the health, development, and well-being of low-income families and children. The Ford School is pleased to strengthen its relationship with the University of Michigan’s Department of Sociology through courtesy appointments of six expert faculty: William Axinn, Sarah Burgard, Jeffrey Morenoff, Alexandra Murphy, Jason Owen-Smith, and Alford Young. We are deeply saddened that Robert M. Stern, professor emeritus of economics and public policy, passed away this May. Bob was internationally renowned for his expertise in multilateral trade agreements and the economic impact of regional trade arrangements. He consulted regularly for a wide variety of U.S. and international entities seeking to understand and improve trade relations, but was perhaps best known for developing, with Alan Deardorff, the Michigan Model of World Production and Trade.